D E S I G N L O V E F E S T » BIG NEWS! the first round of products hit target stores nationwide on feb 28th and then the full collection will be on the end cap on march 28th! stay tuned on my instagram for more updates and thank you SO much for your sweet comments!! i’m feeling really grateful to be a part of it. 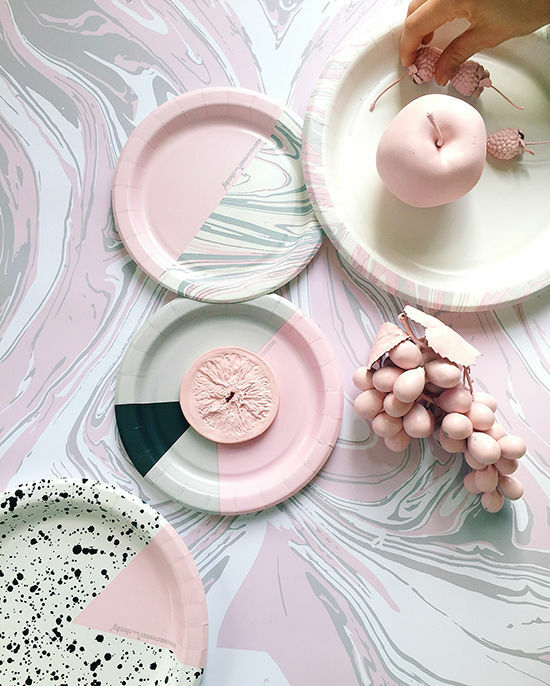 i think my favorites are the marble and the splatter with pink triangle…do you have a favorite? i would love to know! i gotta say, it feels pretty surreal to see my name on the package. my good friend said she was going to lay in the aisle like a mermaid and get people to buy them haha. the funny thing is, she probably will. so awesome!!! Congrats – I will definately buy your designs. So cute. I started jumping up and down on the spot(in public)when your post popped up in my Instagram feed. Congrats! So,so pretty and fun! Unfortunately, Target Canada closed down. Would I be able to order these on Target’s website? i know they are available online, but i think they have to be picked up in a store. oh no! That’s wonderful news!!! I will definitely keep an eye out for it!!! YAY! I’m having a birthday party for my nieces and they’re going to flip over these. OMG! That is so exciting! I am so happy for you! I am going to have to make a trip south of the border get me some of your beautiful designs!! So pretty. love it all! especially those “cheers” cups! congrats! These are amazing! I actually saw some of them out early at the Target on Jefferson in Culver City today! Love the collection, congrats! Love the Cheers cup, it’s definitely going to be a favorite for parities. Ok so I will be buying these in bulk, SO cute!!!! Love, love, love everything and congrats on a wonderful collab! how exciting! can’t wait to see these in real life! This is so exciting! I want all of these! Amazing collection! 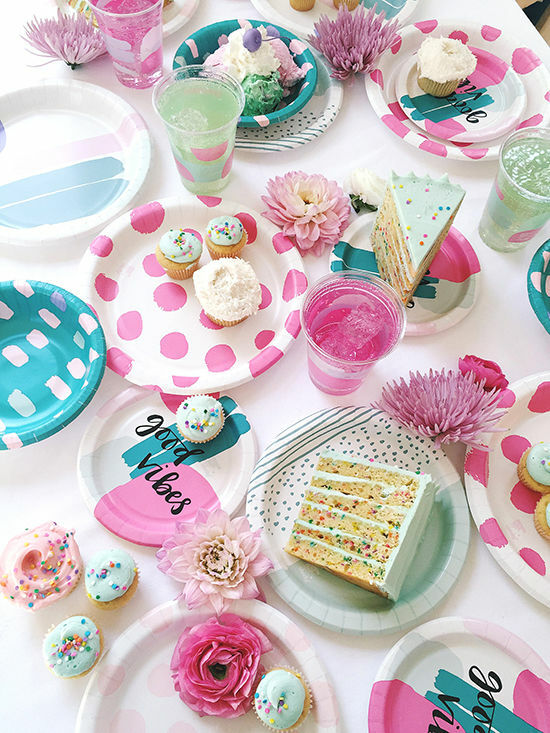 Especially love the pink polka dots and the good vibes ones. Congratulations! What a nice color, what a lovely contrast. Love it all. It make me feel like 6 again. Wish I could have it all. All mine. Congratulations!! This is so cool!! Congratulations, this is awesome! I Loved the prints! This is so awesome! I love them all. Will definitely have to pick these up as soon as they come out! Congrats!! Congratulations!!! I’m going to throw a couple parties just so I have a good excuse to buy all of it. Goodness! Such cool news! Congratulations! 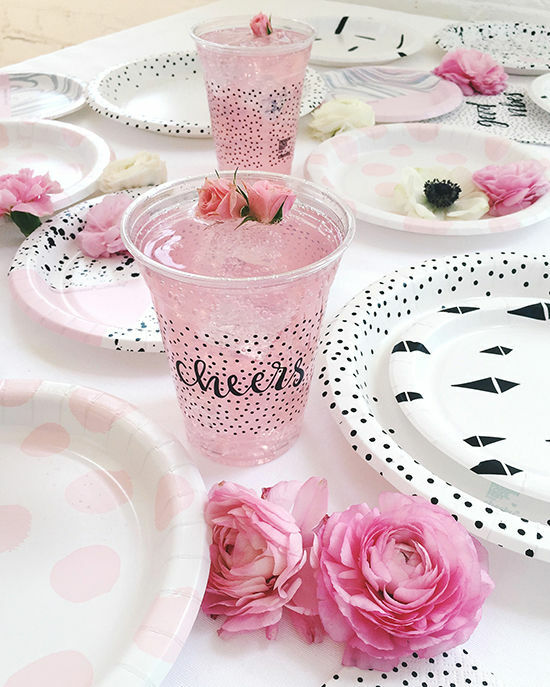 They all look amazing I think 😀 I adore the pink polka dot plate and the Cheers cup! wow!!! this is so cool! congrats girls, sincerely!!! 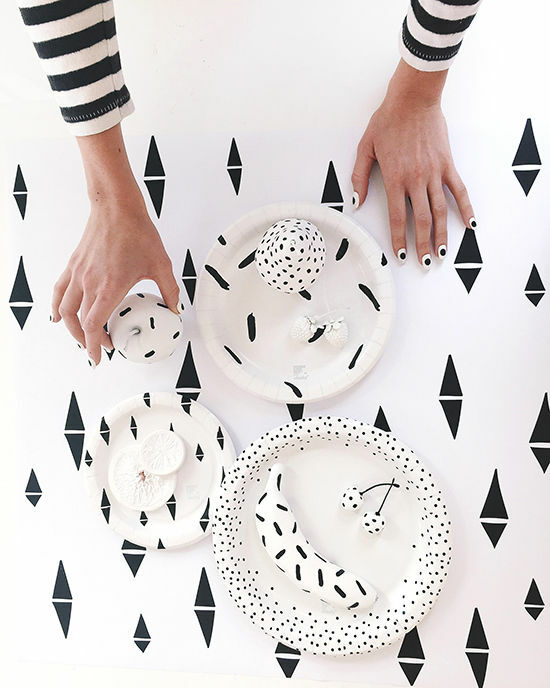 and, the designs are just darling…looks like I’ll be spending wayyyyy too much at target….again! But anything to support fellow designers!! congrats!! these products are amazing! This is THE DREAM! You are living it! Enjoy, Bri! OMG I WANT THEM ALL!!!! My bf and I have been talking about having a party at our house and I just might have to push it off until I can buy your products. I can’t pick a fave, they are all so cute! This is awesome. I really like the cheers cups and the good vibes plates. Girl, I am soooooo excited for this collection! 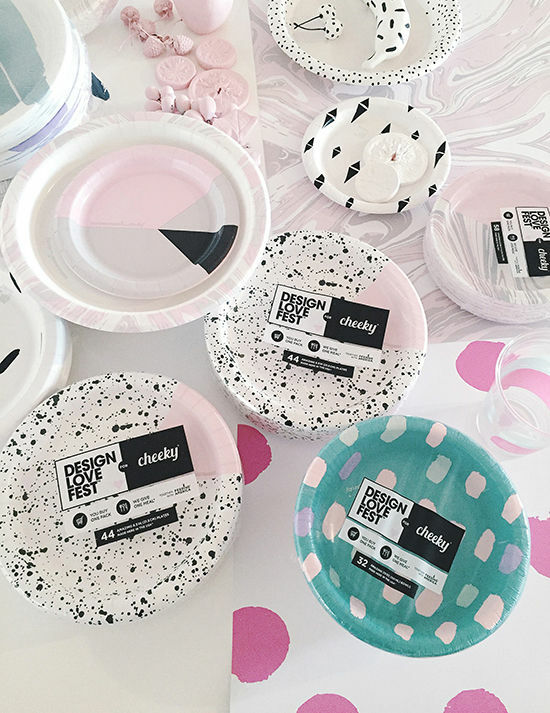 Your designs are stunning and are literally going to make throwing away paper plates a difficult task. The colors are perfection and I might throw a party just so that I can use these! Congrats on the success of teaming up with Target. It is well deserved! These are so cute! Congrats!!! I love them! Hey bree you are such an inspiration! Thank u for this collection. Im italian and unfortunately i cant buy it in store but i’ll have my cousin buying it all on line. Is the whole collection available for online shopping? I really hope sooooo! I just wanted to say I found these at Target and I am in LOVE! These make me want to throw a party for no reason! Totally going to buy up everything I can!